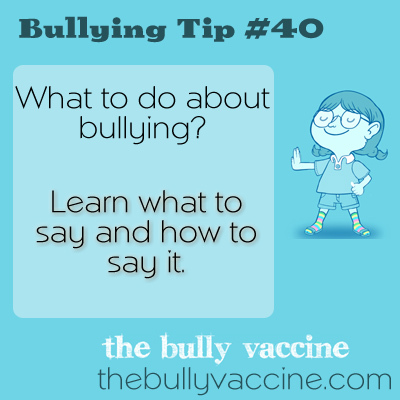 Bullying Tip #40: What can you say to a bully so that they won’t bully you anymore? Learn what to say and how to say it. Bullies bully because it works for them. They like the response they get from you. Change your response and they will leave you alone.